At Orthodontic Specialists of Florida, we are committed to giving you an exceptional patient experience from your first phone call to your last appointment. Orthodontic care is typically recommended for people who have alignment and bite problems that could affect their oral health. With so much at stake, you need a provider that you can trust. 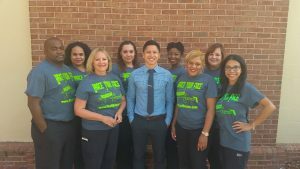 Dr. Dau has been helping his patients have beautiful, healthy smiles that last a lifetime, and you can feel confident that your care is being managed by an experienced orthodontist. If the cost of care is a concern for you and your family, we offer financing options, and you may pre-qualify before your consultation appointment. We offer silver, gold (24ct gold plated), clear and ceramic braces, as well as Invisalign®, at our South Tampa, Florida office.